If you are looking for an original game, look nowhere else! 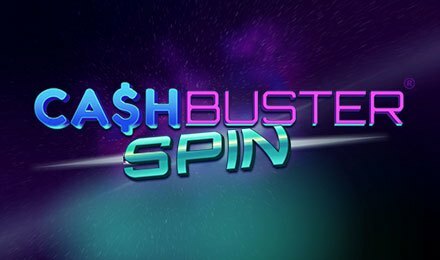 Check out Cash Buster Spin at Wicked Jackpots. It is an instant-win game created by IWG, designed with colourful graphics. Get the chance to earn exciting wins by exploding the bricks and matching the colours on the grid. Don’t forget its bonus features which are also very rewarding. Launch Cash Buster Spin on any desktop or mobile device at Wicked Jackpots! Begin by adjusting your stake on Cash Buster Spin. After placing your bet, press the Spin button to enjoy a good game. You are provided with 6 initial spins. Match the colours on the grid by filling the rows and exploding the bricks. At the bottom of the grid, the next colours can be seen. You can thus trigger instant wins, as well as bonus wins! Amount of Paylines Selection: Paylines are not present on this game. Coin Values: Select one of the bet values using the + or – buttons. You can stake a maximum of £100. Spin the Mega Wheel on Cash Buster Spin to earn a wide range of prizes. The bonus round is over when it lands on “Collect”. Apart from the 6 initial spins provided, you have the chance to trigger more free spins during your gameplay. Take a spin of the 4 Super Reels on Cash Buster Spin to reveal 3 colours. Find 3 matching ones on 1 reel to earn the prize shown on the right-hand side. Don’t miss the innovative Cash Buster Spin on Wicked Jackpots where hours of entertainment are awaiting you. Good luck!